Today Tony and I both had morning charters. The fish were schooled and we spanked 'um. While I was working a giant school Tony called me on the radio and said he found a monster school. A minute later he called back and said everything was hooked up and hurry to him. We were busy reeling in fish and could not leave our school. Ten minutes later Tony called and said they limited out and we better get there quick. 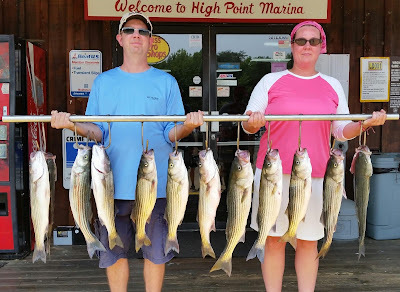 It was a busy morning with both boats catching well over 100 Stripers. 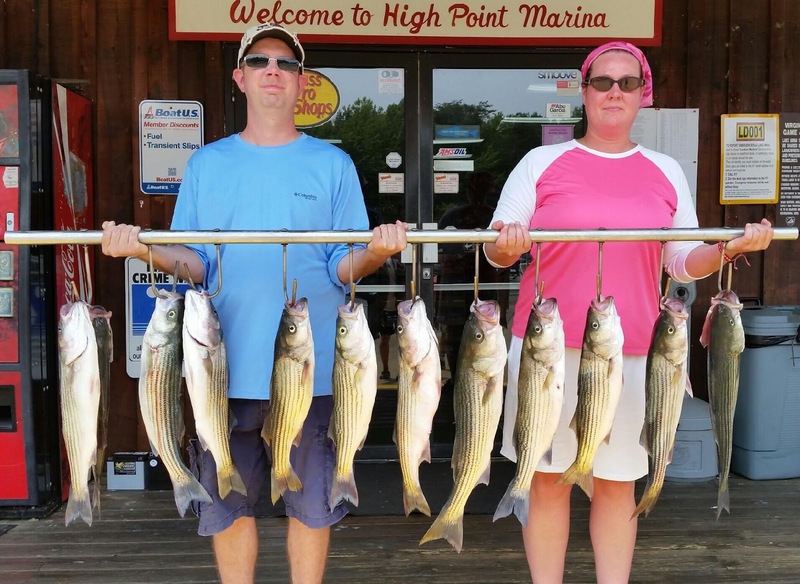 July is going to be an incredible month to fish for Stripers on Lake Anna. The lake is behind a month and we are just starting to catch schooling fish and this action will only get better and better. Our 100 to 200 fish mornings are just around the corner, if you want to get out and be in of these pictures contact us before we book up. When is the last time you reeled in 25 fish in a morning?